Atul Giri | OK Listen! 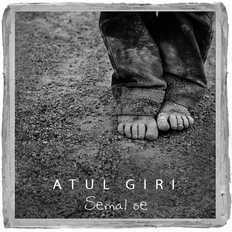 Atul Giri is an Indian composer, lyricist, guitarist, producer & thinker. His music traverses from the simple realizations of roots music to the burgeoning largeness of ambience. One can in his music find the traces of nature-learning silently mottled with human emotions. The imprint of Atul’s philosophical experimentation inseparably dwells in the lyrics of his songs; lyrics that are entwined in astounding textures of sound and thought-inciting melodies. Atul as a distinct guitarist always had his unique ways with the instrument. His finger-picked acoustic guitar and his honestly clean sound of electric guitar amplify the sense of spatial purity and eclecticism.